San Diego's Stone Brewing Co. has renovated a 10,000 square-foot, iconic building in downtown Napa, CA, and will be bringing its bold craft beer to the region well-known for its amazing wine. The company's newest outpost, located on 3rd Street and Soscol Avenue, will include a 10-barrel brewing system, a dining experience, growler fills and Stone merchandise with a grand opening celebration scheduled for this Sunday, May 6. 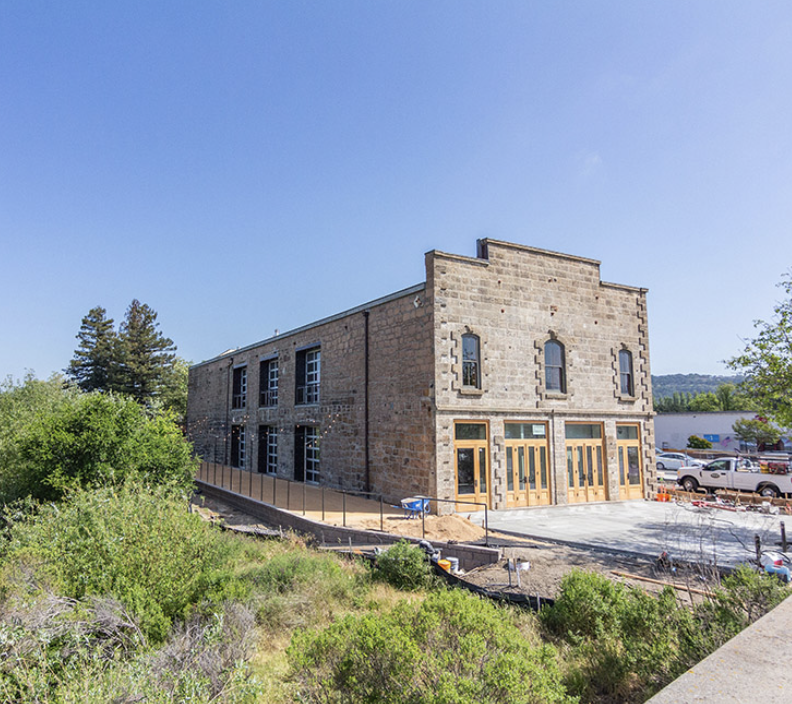 Stone has built a 10-barrel brewery, tasting room and restaurnt in downtown Napa, CA's Borrero building - a more than 140-year-old, historic 19th-century, Italian Renaissance-style stone structure in the heart of California's Wine Country. Set to grand open on Sunday, May 6, the 10,000 square-foot space on Third Street and Soscol Avenue will boast Stone’s core lineup of craft beers, plus several new offerings brewed on-site with indigenous wine-country ingredients. The tap room will fill growlers, as well as serve a full menu of eclectic comfort food made with organic produce and other locally sourced ingredients. The brewpub will also offer an outdoor patio with fire pits and communal tables with views overlooking downtown Napa. We’re thrilled to finally open our doors next Sunday, May 6 for our Grand Opening Celebration! Stay tuned for more info but we can’t wait to open up and welcome you all, starting at 2PM. Details at the link in our bio. For its grand opening celebration, Stone will be hosting a party with food, live music from Fu Man Chu and a lineup of craft beers including special creations brewed exclusively for Napa fans. The Stone Brewing Napa team alongside Executive Chairman & co-founder Greg Koch, CEO Dominic Engels and Napa Head Brewer Steve Gonzalez will be onsite raising a glass with patrons at their new historic riverfront location. For more information on Stone Brewing Napa, visit stonebrewing.com/visit/outposts/napa.